So I've been feeling rather beach-y lately, outside of my usual blue and white obsession. This resulted in me skulking around Polyvore looking for some cute sets to drool over. Check out my finds. Thanks! I'm thinking about layering it with a gold wishbone necklace next time. 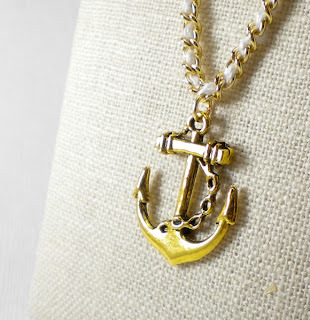 I feel like this necklace is prime for layering. Make Your Own Ring Display- Cheap and Easy! Mad for the Mad Men Collection from Banana Republic!